Get 20% off One Item with REI Member Coupon in December 2018! As the nation’s largest consumer cooperative, REI, also known as Recreational Equipment Inc., is one of the largest online outdoor gear stores around. nature and wildlife. REI DEAL OF THE DAY! REI DEAL OF THE WEEK! In addition to providing high quality products and brands, they are unique in comparison to other stores as they are able to offer a 100% satisfaction guarantee for their product, able to establish an award-winning REI brand of apparel and gear, able to donate millions of dollars to support conservative efforts throughout the nation by sending dedicated teams of volunteers to restore local habitats, build trails, clean up beaches, etc., and able to earn a place on FORTUNE magazine’s list of “The 100 Best Companies to Work For” since 1998. REI strives in being able to provide not only quality products, but also being able to maintain their position as a leader in providing services to support the maintenance and conservation of REI stands behind all of their products and merchandises at all times meaning that consumers who are not satisfied with the purchase can refund their purchase at any time. REI will either provide consumers with a replacement or a full refund. Proof of purchase is required; however, REI members will already have record of their purchase in the REI system and will not need a proof of purchase when returning their items. REI carries top brands like The North Face, Marmot, Arc’Teryx, and many other brands that have been known for their consistent quality. By observing the qualities present in these top brands, REI have developed their own award-winning brand for outdoor apparel and gear. They carry high quality products in a variety of different categories, and they will be able to cater to different outdoor sports and activities. They offer amazing deals and savings on all of their products. In fact, they have two sections on their site – the original store and the outlet store. While the original store has some sales available, the outlet store will literally have products at amazing discounted prices. Most of the discounted prices available at REI will not be found at other stores. REI Coupons can often save you up to 15% off your purchase simply by signing up for their Gearmail option. One of the main benefits of shopping on REI is being able to read up on the reviews that are available. On top of having detailed descriptions regarding the features of each product, and the specialty behind each product, REI also allows for their experienced members to contribute back to their community by submitting honest reviews regarding the products that they have purchased. This will include the pros and cons of each product, the unique features present in each product, and whether each product has been able to live up to its value and to the services that it has been claimed to offer. REI was first established by 23 enthusiastic outdoor adventurers, but has since grown into a large corporation. This has allowed numerous veterans and experienced athletes to provide their two cents on which gears and apparels are the best investment on the market. REI will also take the reviews written to alter the type of inventory that they have in stock. They are constantly improving themselves. Stewardship is one of the main focuses of REI as they understand the importance of being able to conserve nature, especially with the expansion of buildings and construction which interferes with and destroys natural habitats. Due to this reason, REI donates millions of dollars every year to support conservative efforts. They also send off volunteers to build trails, clean beaches, restore destroyed habitats, and basically help out in any way possible. REI will sponsor different projects as well that will be able to help conserve wildlife and natural habitats. They encourage sustainable operations, and offer numerous different volunteer opportunities for those who are interested in giving back to the planet. Last but not least, they offer eco-conscious gear that will be beneficial to the environment. The REI community has a strong passion for the outdoors, and on top of being able to offer high quality gears and apparels and donating millions of dollars to conservative projects, they also offer numerous expert advices on the best gears available. They will offer expert advice on techniques that can be used outdoors. They have columns, and articles related to different outdoor sports and activities. In addition, they have also established numerous locations across the nation to provide classes related to the techniques and methods that should be implemented for outdoor activities and sports. They also plan different outings for those with the same interests. For example, members of REI will be able to be matched up with other members who have the same interests as them, and those who are on the same experience level as well. This will allow members to climb mountains together, and enjoy different outings as a group. It’s an amazing social opportunity. REI has expanded their outdoor school to provide classes on outdoor photography, navigation, fitness, among many others. They are open to suggestion, and will constantly add new classes to their list. With all of the benefits associated with the corporation, there is no wonder why most consumers are eager to be a part of the REI initiative. This can be done by joining the REI membership program. There is also an REI Gear mail available which will allow for members to enjoy 15% on new products and gears. 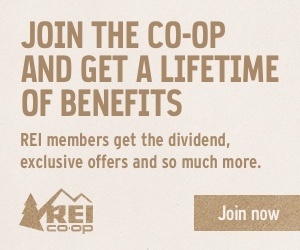 A lifetime REI membership is $20, and will allow for members to earn an annual REI member dividend. Typically, the refund is 10% back on eligible purchases. Members are also able to receive special offers and additional savings. A special Visa card is also given to members as well. REI has dedicated a lot of its resources and time in not only providing high quality gears and apparels for consumers, but by also providing an extremely useful website with numerous expert opinions available. They have also spent a lot of money and effort into the health of the planet. They offer numerous different types of classes at different locations, and they are constantly expanding the type of services that they have to offer. Their main goal is to be able to not only conserve nature, but also help many people find the joy and beauty in nature once again with different outdoor activities and sports. Gone are the days where individuals are stuck in a cramped room as REI will help provide the opportunities, gears and apparels needed to enjoy amazing outings and climbs.